This is already enough but it is helpful to give the window a specific size. If you don’t the window will be as small as is possible which isn’t nice in this case. Again easy to do by adding a height and width to the body tag in the index.css. A chrome extension needs to be static files that get packed up. Again easy to do, just run npm run build and the resulting build folder contains exactly what you need. Doing a local test with the extension is easy. Open up Chrome and select Setting/Extensions or just navigate to chrome://extensions/. At the right top there Developer mode checkbox. Make sure that it’s checked. Next you can drag the build folder into the extensions window. Now you should see the extension appear in the top bar of Chrome. 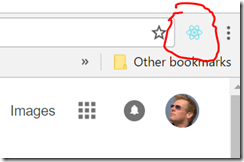 There you should see the React icon appear. 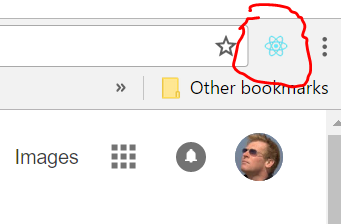 When you click the React icon the extension should start. 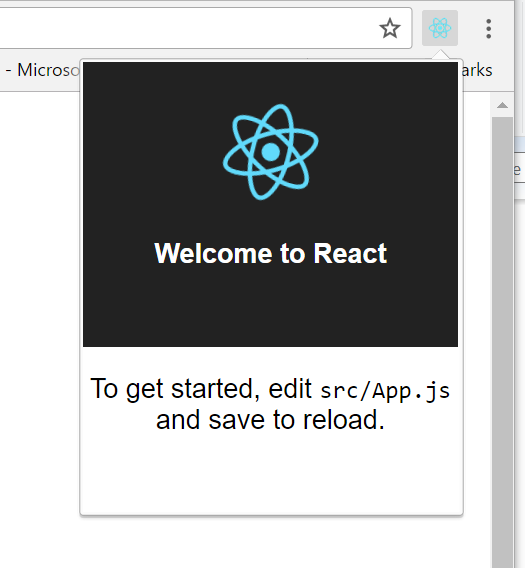 You will see the default create-react-app Welcome to React home screen. Complete with its animation and just like you would see it in the main browser window. Publishing the extension to the Chrome web store is easy as well. You will need to create an account for a small one time fee. Once your account is setup just follow these steps and you will be done in no time. You can install and try this demo extension here. 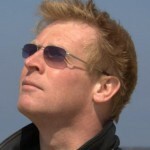 The complete source code for the plugin can be found here. Posted: November 8, 2016 November 26, 2017 . Posted in: Chrome, React. Bookmark the permalink. Looks good to get popup.js being a react app, but how do you make content scripts use react? Same question I have, George Pickett. I tried forever to make the content script into the traditional React entry file but always got unexpected token import error. I tried using Gulp but still to no avail. This was super helpful, thank you. This tutorial was great to help me get started, but I also wanted to inject a content script. 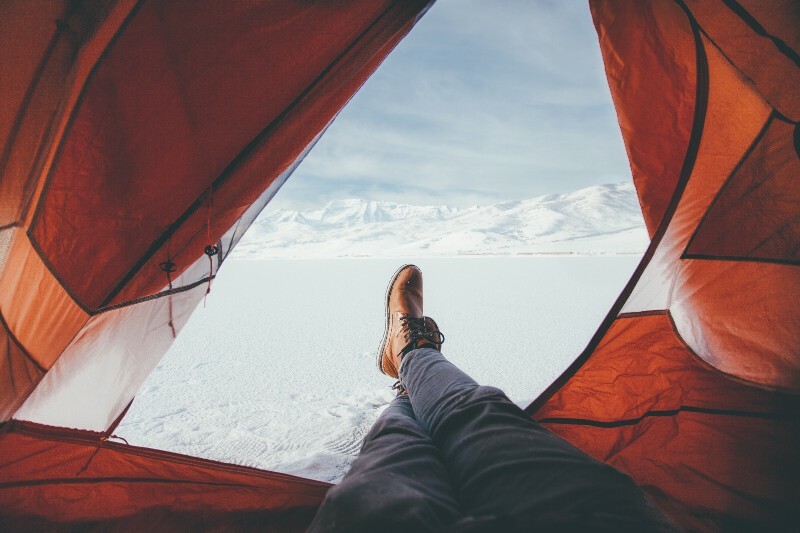 This is what I came up with: https://medium.com/@yosevu/how-to-inject-a-react-app-into-a-chrome-extension-as-a-content-script-3a038f611067. Did you over write the manifest.json file that comes with Create-React-App?